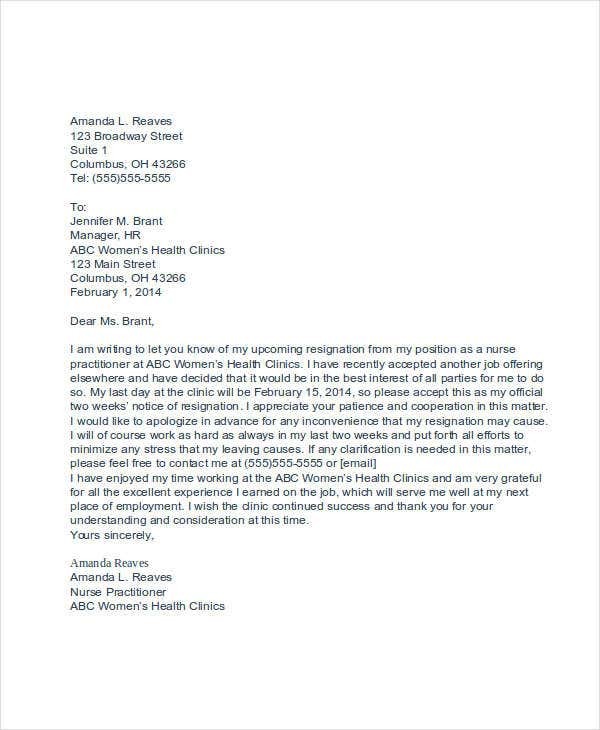 When one decides to resign from his or her job position, there are a lot of procedures that need to be done in order to officially leave a post. One’s resignation is subject to a lot of reasons, and to most employees who wish to resign, they find no regret from their letting go of their job responsibilities. 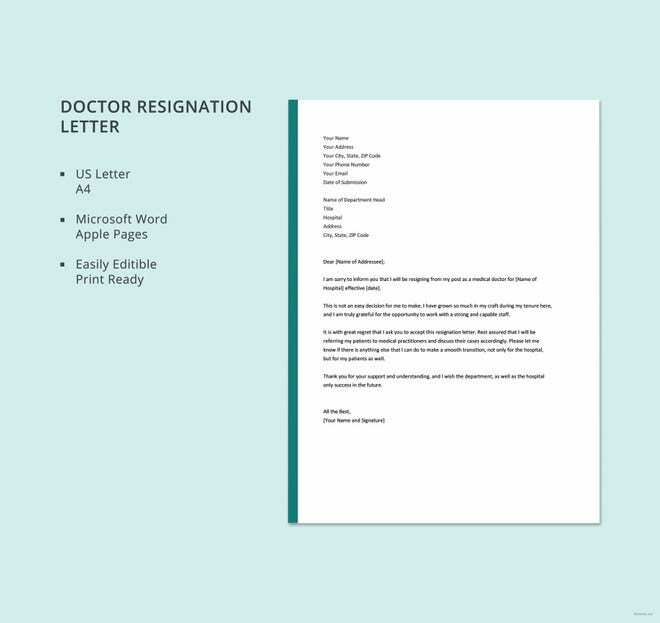 You will encounter a lot of letters of resignation and relinquishment of job positions as you go on in your career, and you will read through various types of resignation letters like Resignation With Notice and those without. 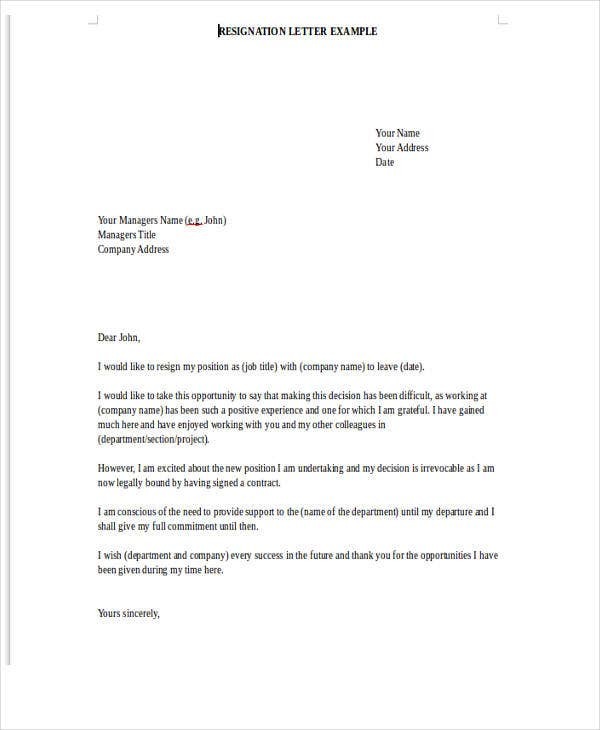 It is convenient if you familiarize yourself with the basic resignation letter templates first before you start writing one. 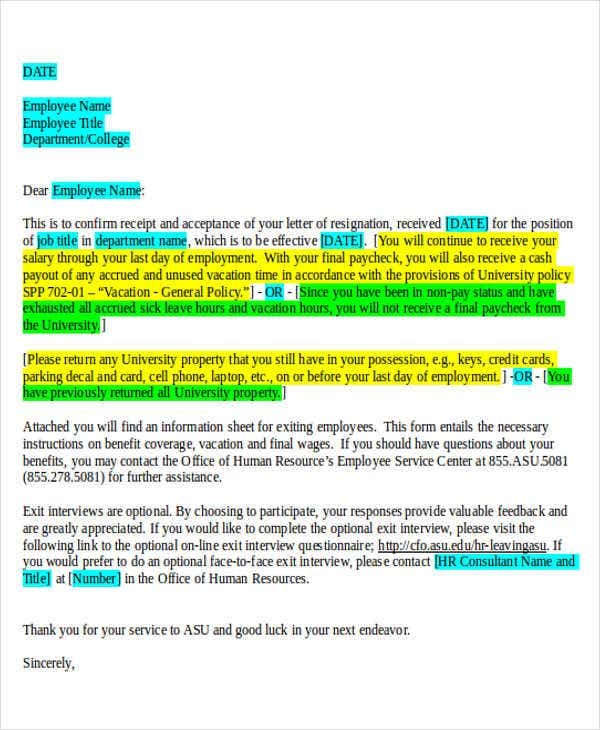 It would help you structure your letter beforehand in terms of content and formal format. Reasons for your resignation (optional). 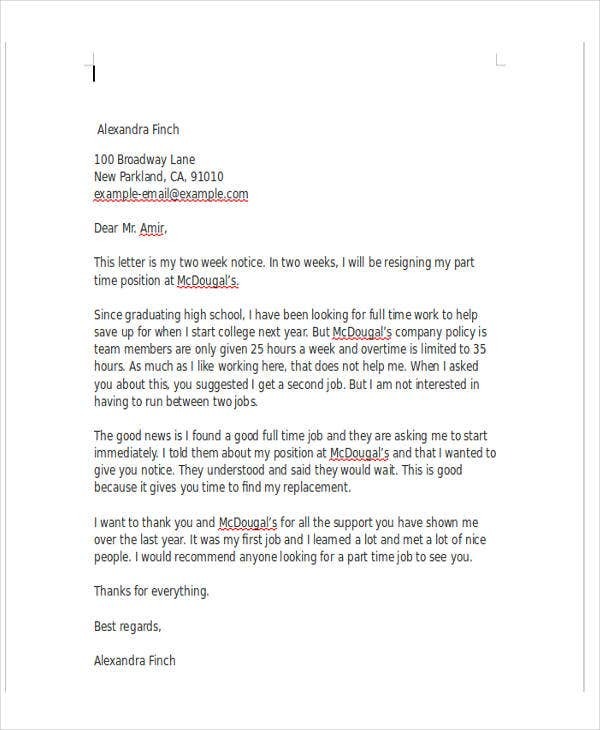 Do more than just pass a resignation letter to your employer. Practice proper etiquette and deal with your resignation professionally. 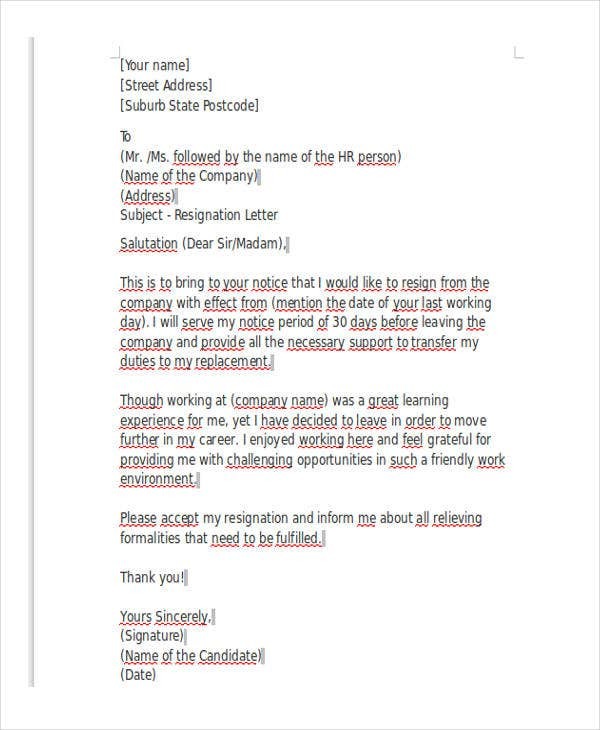 Resignation notice. 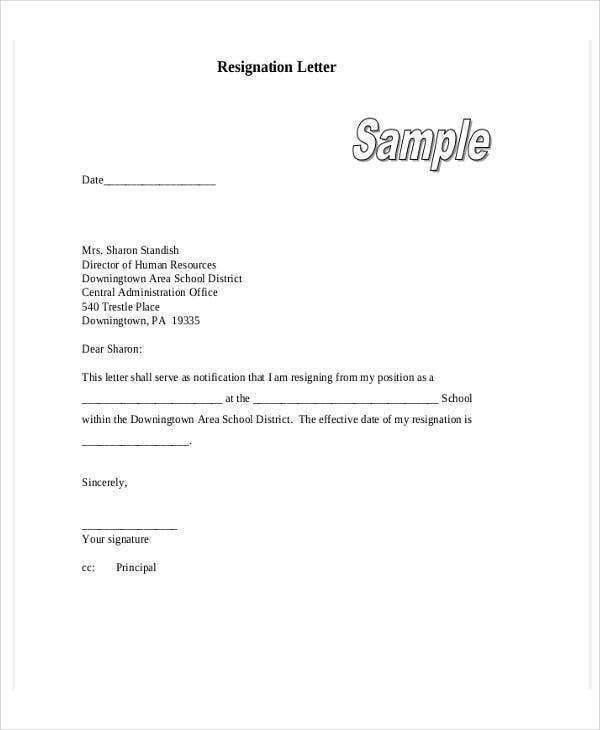 Before you finally hand in your resignation letter template, make sure you give verbal notice prior. It would be a polite way of informing the company or your boss that you would want to resign from their good office. Express gratitude. Whatever are your reasons for leaving, it is most important that you give appreciation to everyone you have worked with most especially your direct managers and supervisors. Besides putting it all into writing, don’t make it look like you just would want to leave right away. See to it that you never fail to thank those who have given you professional guidance throughout your stay. Productivity and efficiency. You still have to give the company your best up until your last working day. It would be nice of you to still be consistent with your productivity and efficiency despite your notice of resignation. 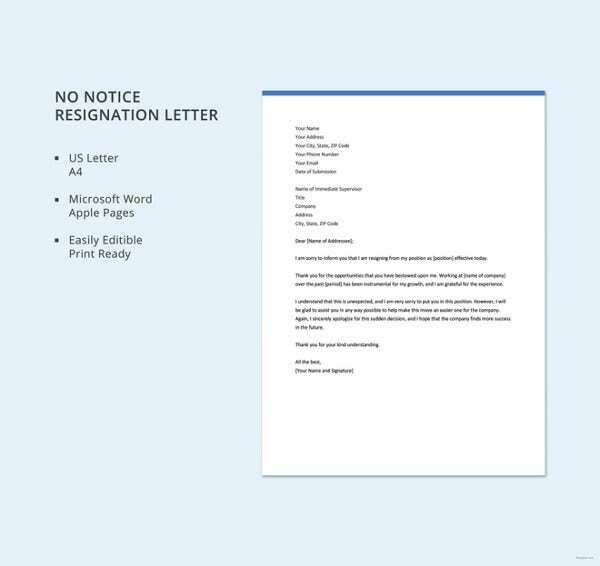 Check out more of our other resignation letter templates. 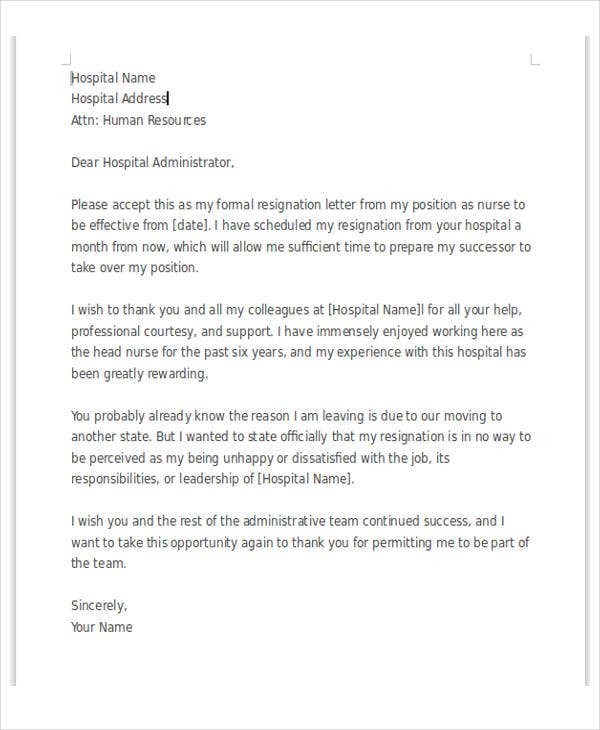 This page provides you templates on Nursing Resignation Letters that applies the proper etiquette rules and advice upon job resignation. 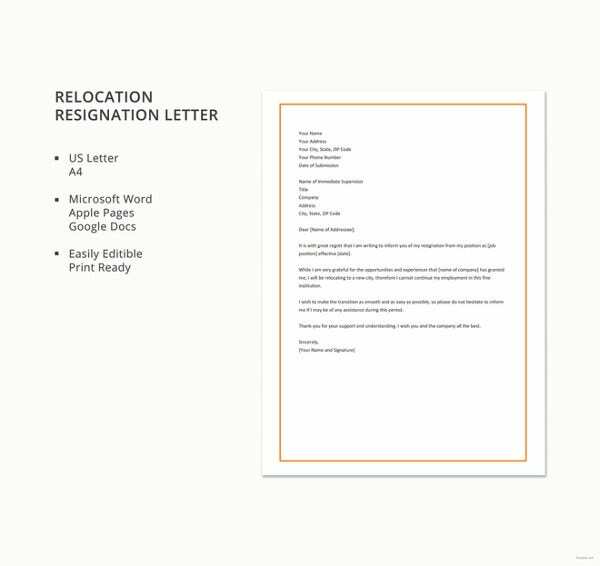 Your resignation letter format is your way of expressing or communication to your bosses and to the company in its entirety. However, you do not need to pour everything out into writing and express whatever you want. Foul language and tone. 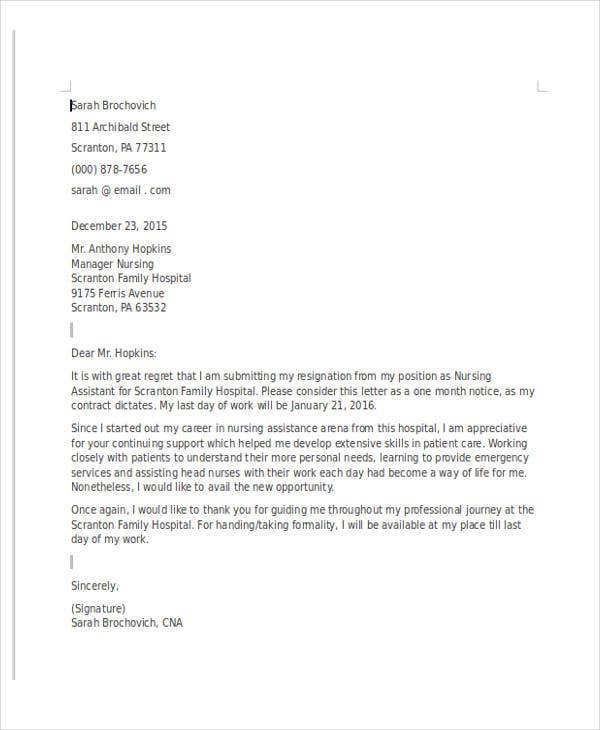 Your resignation letter should not include words of profanity and demeanor. For any reason you have in mind, always deal with your resignation with courtesy. After all, you have worked for the company and they have offered you a job anyway. Reasons. Most employees who wish to resign are advised to provide personal reasons for resignation. 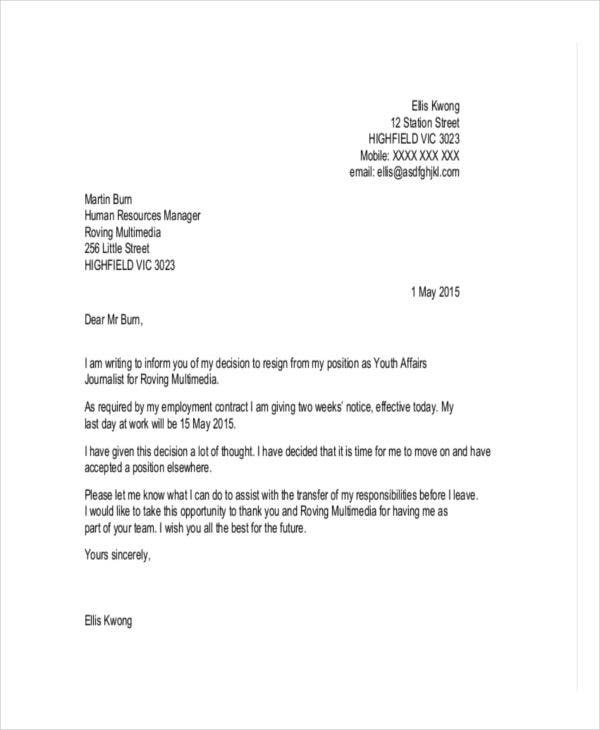 You should not be talking about your reasons in several paragraphs in your resignation letter. You could save your lengthy explanations for your boss who might ask to have a word with you. Sarcastic comments. Irrelevant suggestions and unnecessary comments should not be written in your resignation letter. 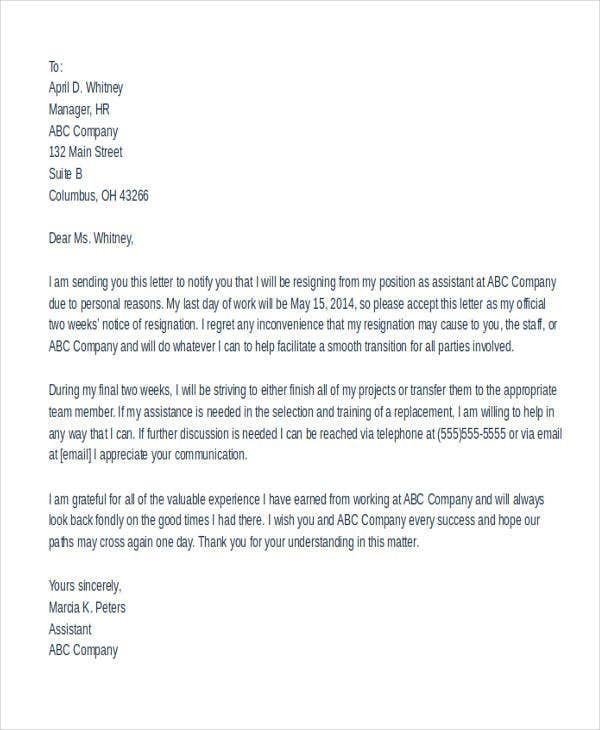 Avoid being sarcastic in your letter in a way that you talk about a lot of issues and concerns about your stay in the company. Overall company assessment. You are not asked to give your personal assessment for the company so might as well keep it to yourself or your workmates. Your direct supervisor or manager really would not need to know how and why you would indirectly include company assessments. 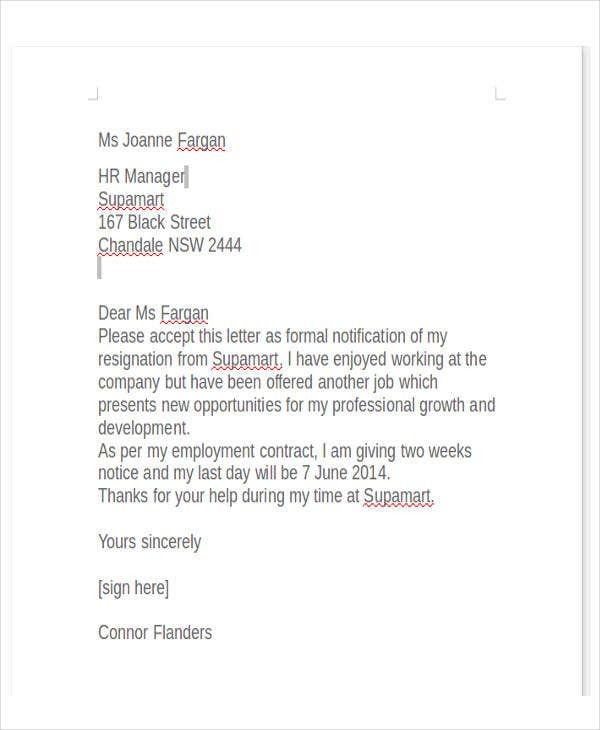 As you go through our page, you would see resignation letter templates that are properly written in terms of content and format. 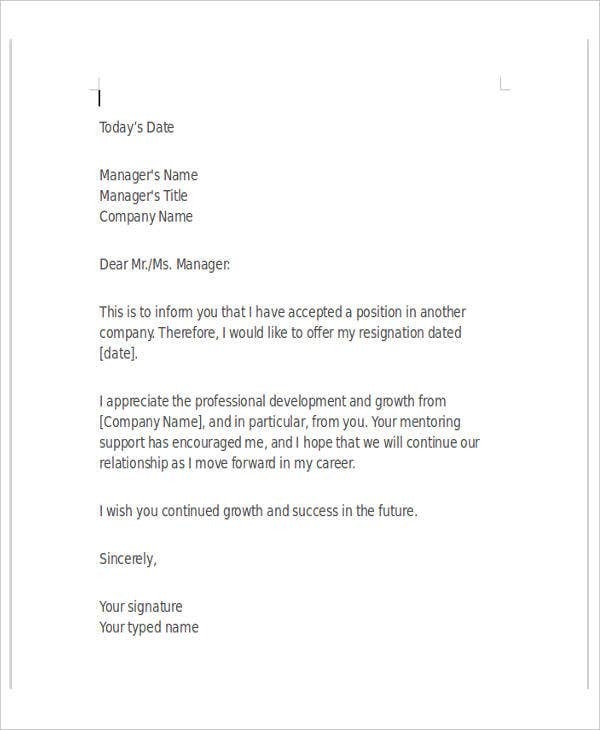 How to Write a Resignation Letter with a Notice Period? 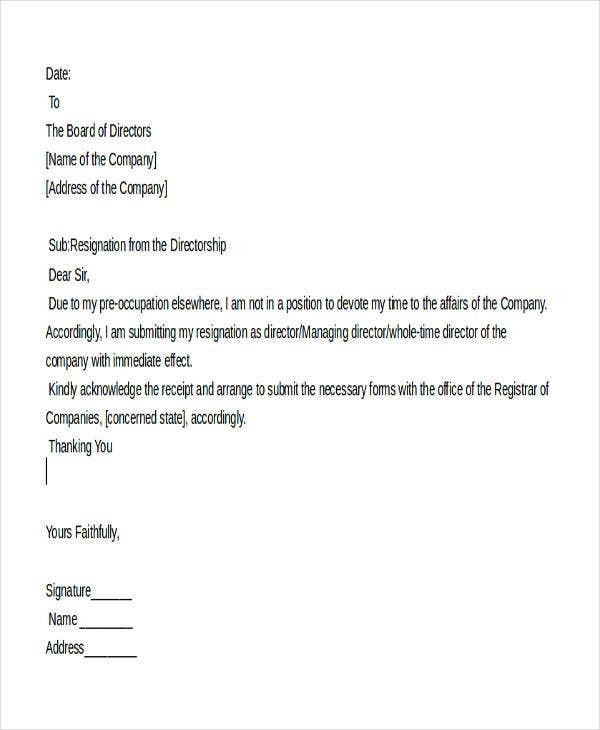 We have available sample resignation letter with notice period in this page. 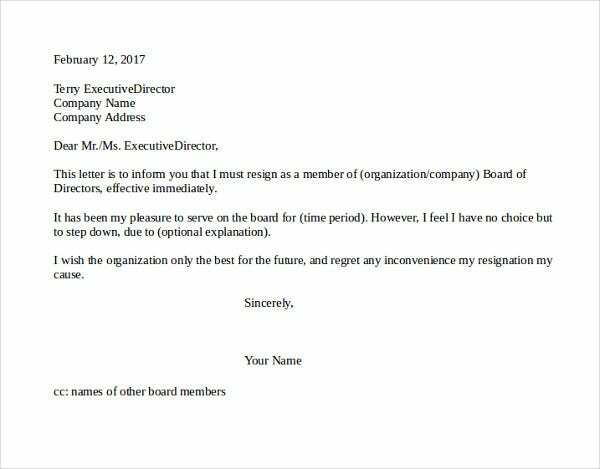 Should you wish to write such type of resignation letter, you could always download templates and make writing easier for you. 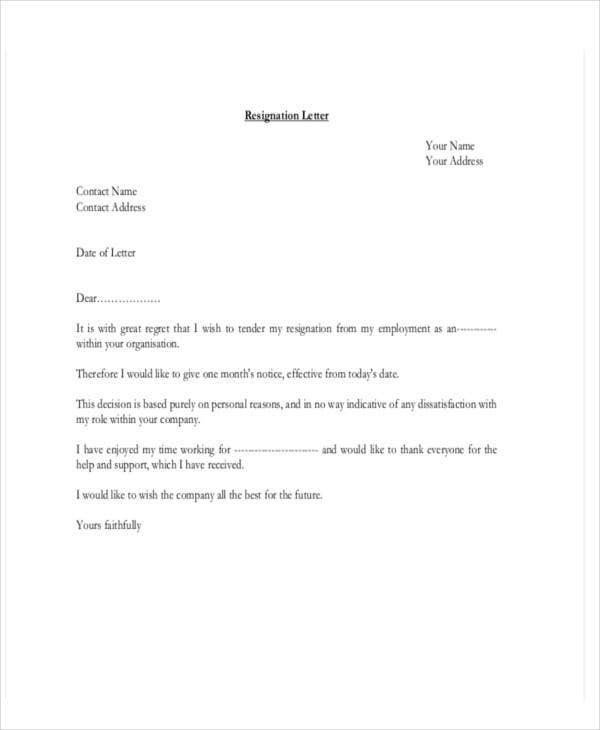 Basic business letter format. It goes without saying to be professional and business-like even in the final days of rendered work. Greetings and salutation. Politeness goes a long way, and this could help your employer understand your plight more. Content. 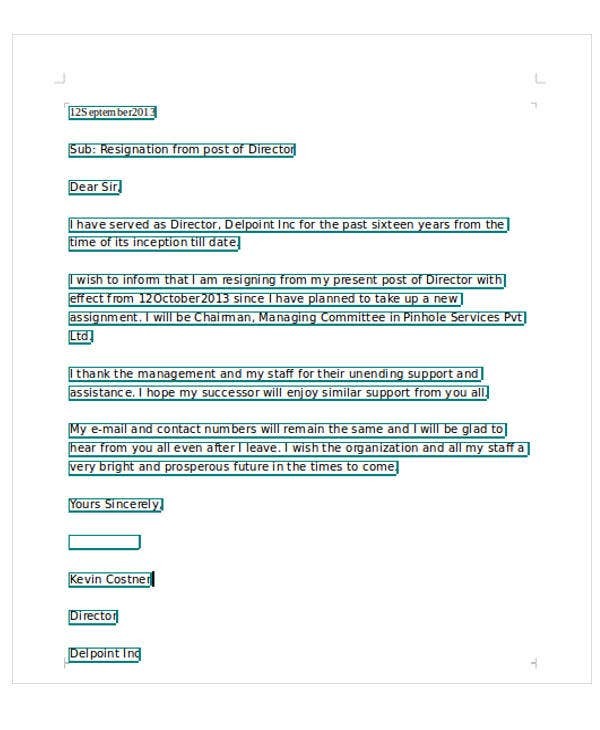 The notice period should be provided in the content part of your resignation letter. You should be able to provide specific dates as to when you plan to resign and when your preferred last working day will be. When Should You Give Your Resignation Notice? Commonly, two weeks to a month would be a sufficient period or time frame to give your resignation notice. It is courtesy that you provide enough time to your employers just so they could make the necessary adjustments by the time you render your last few days of service. 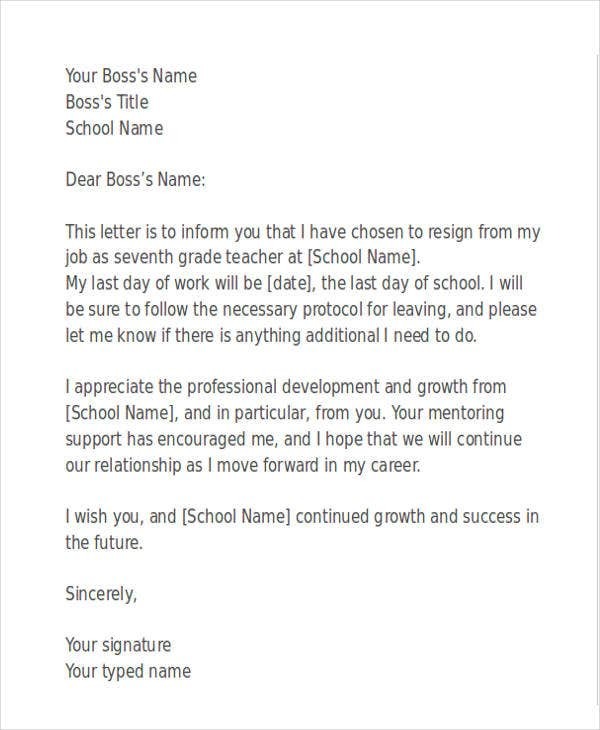 Like what’s in our templates on Teacher Resignation Letters, we advise that you give your resignation notice in time so it wouldn’t be difficult for both parties to work hand in hand with the transition. 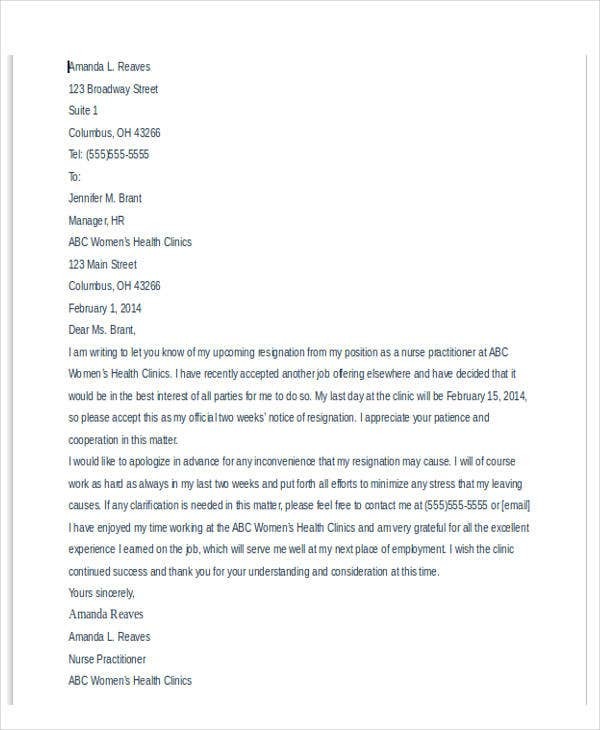 Despite your intention to resign, at least you have practiced courtesy throughout your employment. Maintain professional ties with colleagues. 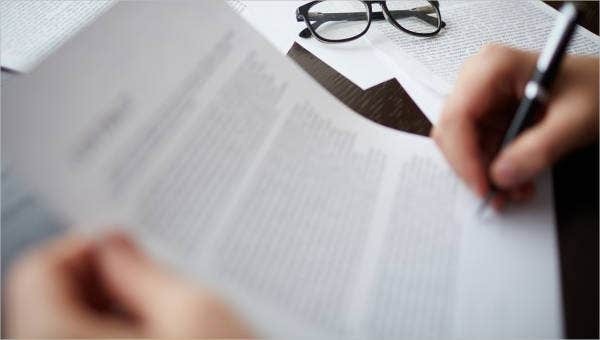 Express willing involvement with the final tasks and assignments. 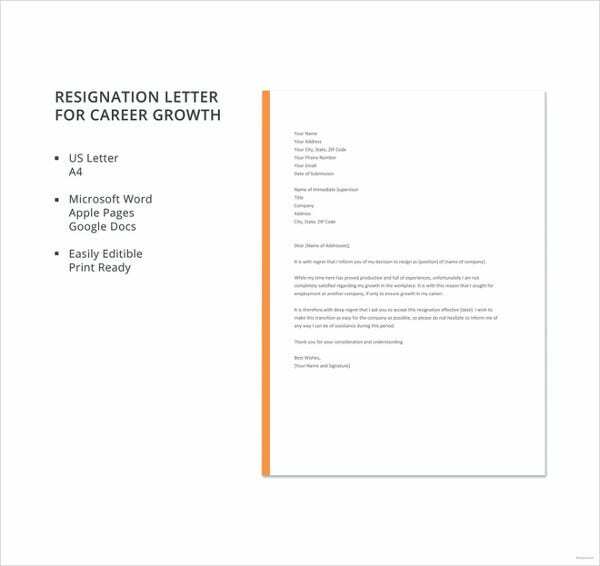 Most resignation letter examples practically include all that is written above. 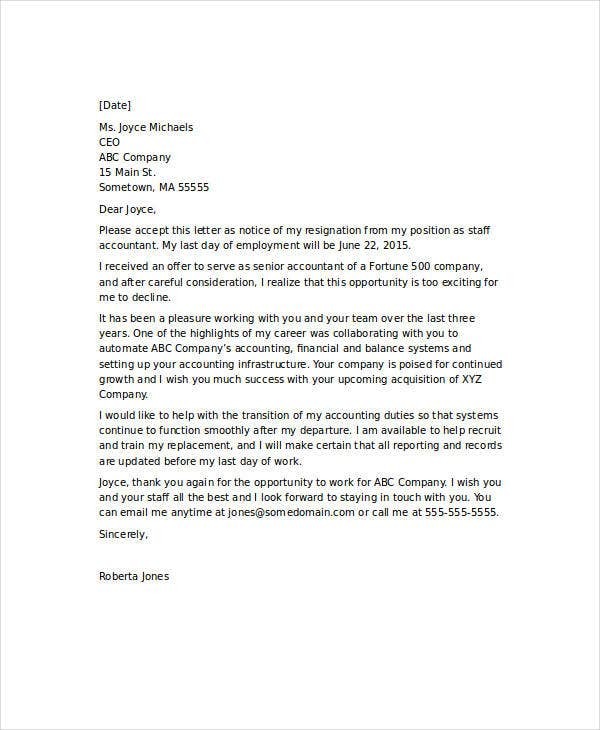 To make effective and professional resignation letters, it is only fitting that you keep mind of what is expected of you from your bosses. 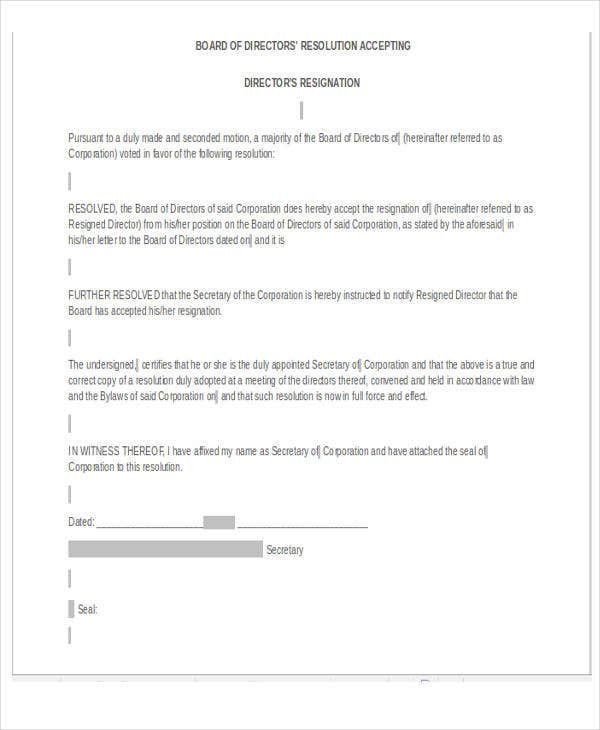 Resign or leave from the company without notice. 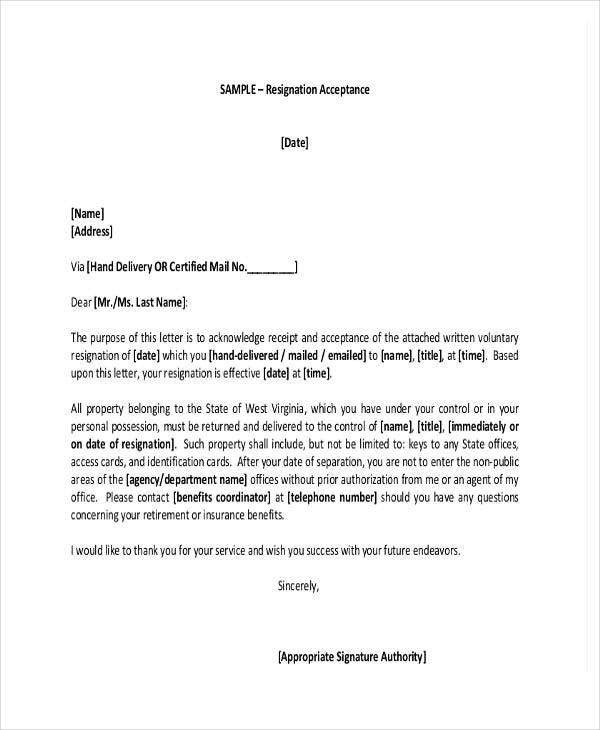 Employees who prefer to submit Temporary Resignation Letters are still advised to maintain courtesy in writing such letters. 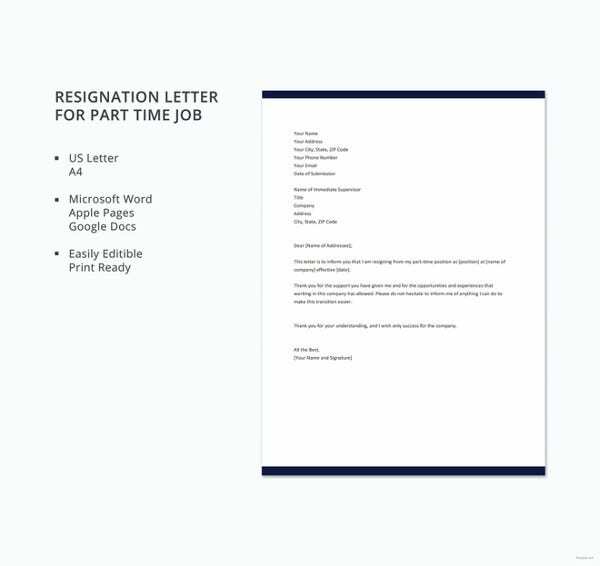 Despite your intention to resign for whatever reason you may have, it is important to do away with the don’ts mentioned above when writing a resignation letter.